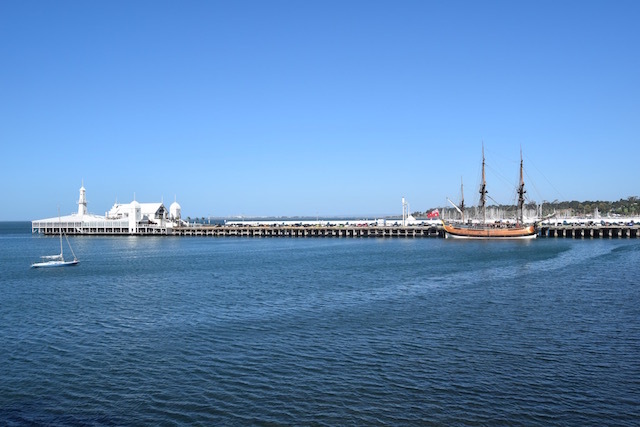 This year’s Linux.conf.au was held at Deakin University’s waterfront campus in Geelong, Victoria and work sent me and a few of my colleagues. There’s a lot of material in up to six concurrent tracks over five days but here are the things I particularly liked. Two talks – Continuous Delivery using blue-green deployments and immutable infrastructure and The Twelve-Factor Container – had some interesting, though not entirely new, things to say about CI/CD and reliable, sustainable build and operations. If containers and infrastructure as code are your thing, they might be worth watching. The two talks about Swift (the OpenStack object storage system, not the banking system, the programming language, the bird, etc., etc.) gave a high-level overview of their approach to sharding, metadata storage, and erasure codes. Sticking with “putting data in places”, Bron Gondwana from Fastmail described Twoskip, a single-file database format based on skip-lists they built for use in their email infrastructure. The Dropbox Database Infrastructure talk had some interesting detail about tooling around a very large MySQL system. 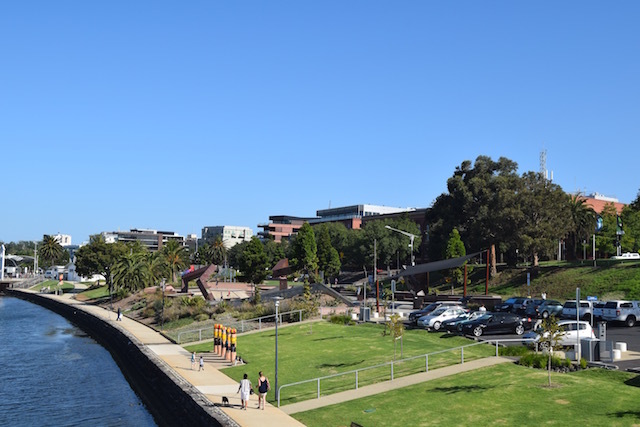 I really enjoyed the talks from a few people associated with NICTA/Data 61/CSIRO/UNSW about formal methods, the eChronos real-time embedded operating system kernel, the SMACCM project, etc. The functional programming miniconf had some very accessible talks on some foundational topics (viz. parametric polymorphism, Church encodings, and “you can actually write production software in Haskell”). I saw two talks on security topics which might be useful (or at least entertaining) for those of us who aren’t specialists. Using Linux features to make a hacker’s life hard described a number of things you can do to a Linux system to make it difficult for attackers to exploit your systems (for the adversary’s point of view see Ain’t No Party Like A Unix Party from 2013). Playing to lose described approaches to thinking about security which will probably be useful to people designing, building, and operating systems (i.e. almost all of us). Finally the stand-out talks of the conference for me were two of the keynotes. Catarina Mota spoke about open source, open hardware, and the newer open materials and open technologies movements. The open source architecture projects she described made me want to build a house. 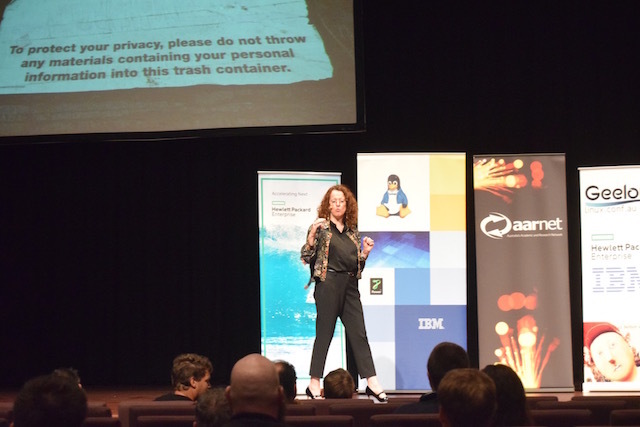 The last day of the conference opened with a keynote by Genevieve Bell – anthropologist, Intel Fellow, and VP of Corporate Strategy at Intel – about themes that will likely dominate the way our technologies create ‘the future’. If you watch only one video from the conference I’d suggest make it this one! Most of the videos from the five days of sessions are already available on the Linux.conf.au 2016 Youtube channel. No matter what you’re interest in you’ll probably find something good in there. Our flights back to Sydney were at 1600 so a few of us jumped in a hire car (great idea Ramon!) 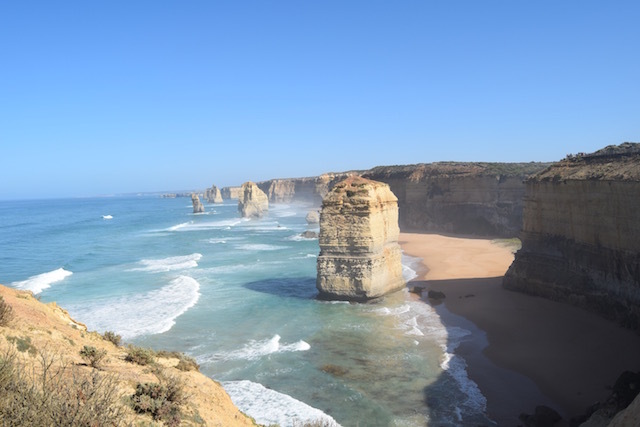 and went to see the Twelve Apostles. It was well worth the few hours in the car! This post was published on February 8, 2016 and last modified on April 4, 2019. It is tagged with: event, linux.conf.au, conference, open source.